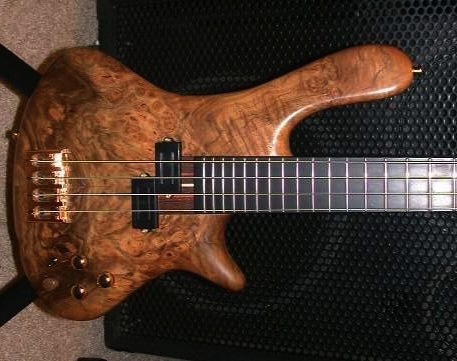 As rare as hen’s teeth , here we have a used Jerzy Drozd bass. How do we explain this? Well, Nick Verbic, one of our bass buddies, wants to order a new custom bass from Jerzy, and to do this this, Nick is willing to part with his 2nd and 3rd Jerzy Drozd basses. This is a custom order Excellency IV from 2002, in exceptionally fine condition. 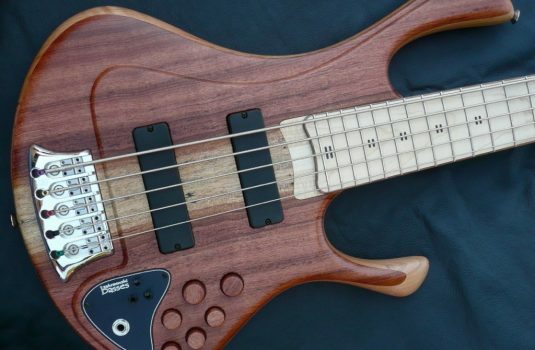 What makes this bass custom? The Burl Walnut top, the Flame Walnut back, the 7 piece Wenge/Bubinga/Maple neck (as found on the top-of-the line Prodighy Limited Edition) with dual graphite reinforcing bars. 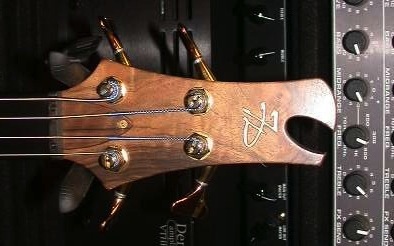 The single P Bass style DiMarzio pickup in the proper P Bass location. 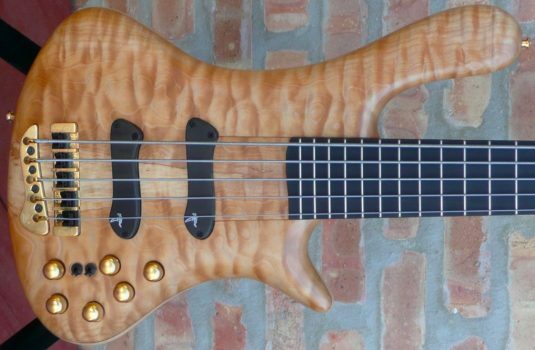 A new bass like this today would cost $3,700. 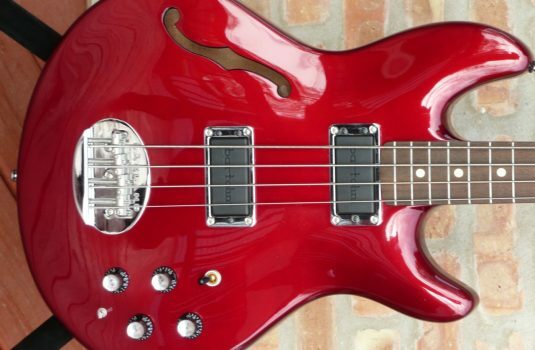 Grab this like new bass for only $2,250, hardshell case included.